Atri Green Valley is one of the residential developments of Atri Group. It offers spacious and skilfully designed 2BHK and 3BHK apartments. The project is well equipped with all the basic amenities to facilitate the needs of the residents. What is the location of Atri Green Valley?The location of the project is E M Bypass Extension, Kolkata South. What size of flats are available in Atri Green Valley? The apartment sizes in the project vary from 675.0 sqft to 1310.0 sqft. What is total area of 2 bhk in Atri Green Valley?  The area of 2BHK units in the project varies from 675.0 sqft to 980.0 sqft. 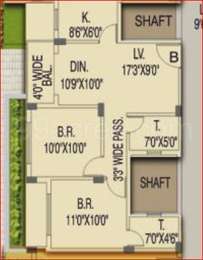 What is the area of 3 bhk in Atri Green Valley? Three-room units (3BHK) in the project are available in an area of 1070.0 sqft to 1310.0 sqft. How much is the actual area of Atri Green Valley?The area of the project is 6.0 Acres. What is price of 2 bhk in Atri Green Valley? 2 BHK apartments in the project are available at a price of Rs. 1957500 to Rs. 2842000. External ? 8? / Internal ? 5?/3? and Atri Green Residency in Malancha, Kolkatta South. The technology up-to-date and efficient team of the group has successfully completed some of the projects like Atri Green Palace and Atri Bliss in Graia, Southern Kolkata. 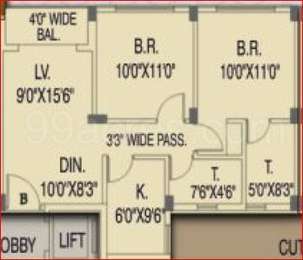 What is the per sq ft price of this area, I am planning to buy in Phoenix nest, Mumbai Navi. Also, can anyone brief me about the project? Hi Dhruv, It has G+ 16 stories With 1 BHK flats natural light and cross ventilation, Excellent planning with parking space, lifts, Power back up , Kids Play Area, etc. And the area is 4700/ Sq.Ft. prices and location of property at new projct in Kolkata. i'm interest in buying at Atri green valley, a new projct coming up in the rajpur area of Kolkata. I'd like to know the price of apartment here and the status of this location, if it's good for investmnt or not, has amenities around or not, etc. pls advice and hlp me decide. the project amenities include 24 hours running water with water filtration plant, round the clock power backup with generator, security guard and lobby manager, CCTV surveillance, intercom, decorative lobby, elevators, air conditioned community hall, childrens play area, air conditioned gym and games room, swimming pool, splash pool and Jacuzzi, walking and jogging space, badminton court, landscaped garden, yoga deck and a decorative terrace. The project seems nice from accessibility point of view; auto ride to the nearest Metro Station Shahid Khudiram is about 6 to 7 minutes. The EM Bypass is barely 10 minutes from Rajpur which can connect the locality to the IT Hubs and the entire Eastern corridor of Kolkata. NSC Bose Road connects Rajpur to Tollygunge and other South Kolkata junctions. The area has schools, markets as well as hospitals besides ATMs, petrol pumps, banks and everything that a family needs. Rajpur is just on the southern fringes of Kolkata making it a neighborhood ideal for a peaceful lifestyle despite being close to all urban facilities. the area of Rajpur area has not seen any significant appreciation so I'd not suggest it from investmnt point of view. i dont know much about the projct though. you can look in some other area where the appreciartion is gud.